Located in the heart of Pocatello near Idaho State University, Red Lion Hotel Pocatello is one of the top Pocatello, Idaho hotels, offering 150 beautifully appointed guestrooms and suites equipped with our signature pillow top beds, eco-friendly bath products, modern room amenities and private balconies/ patios. Visit Red Lion Hotel Pocatello in the "Smile Capital of the U.S." and experience friendly customer service. Bear Lake, a.k.a. "The Caribbean of the Rockies." Red Lion Hotel Pocatello offers some of the best rates among hotels in Pocatello, Idaho. Our guestrooms are equipped with plush pillow top beds, Cascadia bath products, and complimentary Wi-Fi. In addition, we offer other great amenities including an indoor swimming pool and jetted hot tub, two dining options, a fully-equipped fitness center, and more. Red Lion Hotel Pocatello offers delicious on-site dining options, including our signature breakfast, casual dining at the Pocatello Lounge, and professional catering services for events held in our meeting facilities. Whether you're rushing to our complimentary airport shuttle or to a meeting, stop at Café2Go anytime for an array of foods, snacks and beverages, perfect for guests of all ages. Or, if you're looking for laid-back dining, treat the family or friends to a meal and a round of pool at the Pocatello Lounge. Open daily, our lounge serves some of the best dinner and cocktails among local restaurants. For off-site dining, consider our three favorite restaurants near our Pocatello hotel. Walking distance from the hotel and thriving since 1975, Sandpiper features a full bar, extensive wine list, and signature dishes -including mouth-watering appetizers, seafood, prime rib and a local favorite, the Hawaiian Crunch Halibut. We recommend bringing a special someone to their romantic lounge for an evening of handcrafted cocktails. Buddy's Restaurant is known for famous local signature dishes such as their Buddy's Breath garlic salad and the Carmello -ice cream or cheesecake drizzled with a rich caramel sauce. 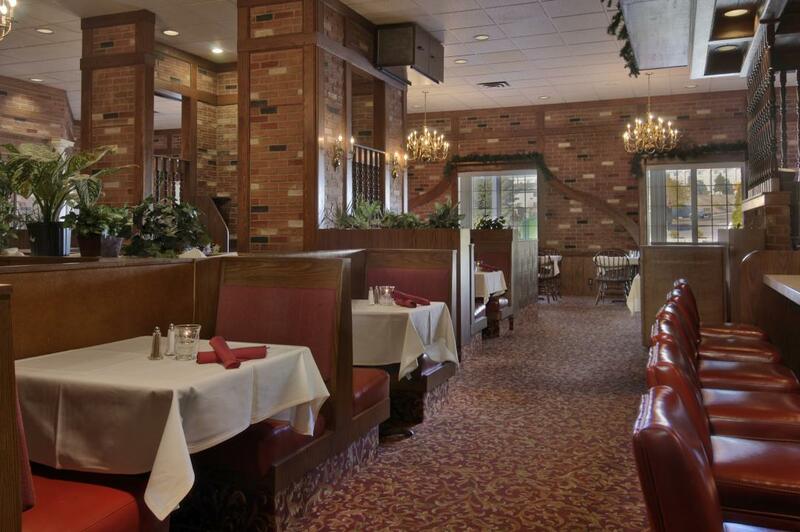 Indulge in some of Buddy's secret-recipe dishes and savor the deliciousness of their traditional Italian specialties. ButterBurrs is all about comfort food. We're talking sausage, biscuits, gravy and other savory breakfast items (available anytime). Visit this restaurant only 1.5 miles away from our hotel and enjoy reasonable prices on scrumptious Pocatello dining. 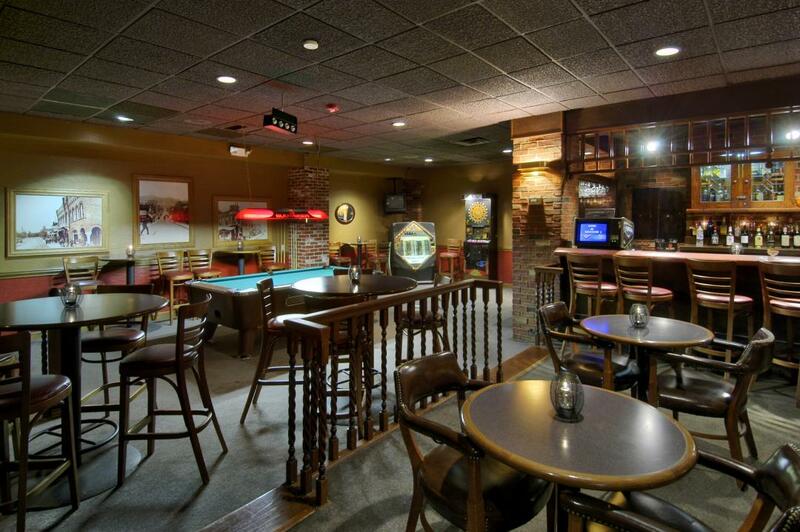 The Pocatello Lounge is a casual hotel restaurant in Pocatello – equipped with flat-screen televisions, a pool table and a fully-stocked bar. Enjoy a round of pool with handcrafted cocktails and the tastiest food. Located off the I-15, Red Lion Hotel Pocatello serves as a convenient location to host Pocatello events, meetings, seasonal parties, and weddings. Whether you're planning an intimate business meeting or a conference for hundreds of attendees, consider our events center. As Southeastern Idaho's largest full-service convention hotel, our Pocatello events center offers professional event planning and catering services as well as 14,248 square feet of flexible event space, equipped with 16-foot ceilings, complimentary Wi-Fi, and the latest A/V equipment. The Convention Center, the largest of our 10 meeting rooms, can even accommodate up to 1,000 people in a theater-style format. 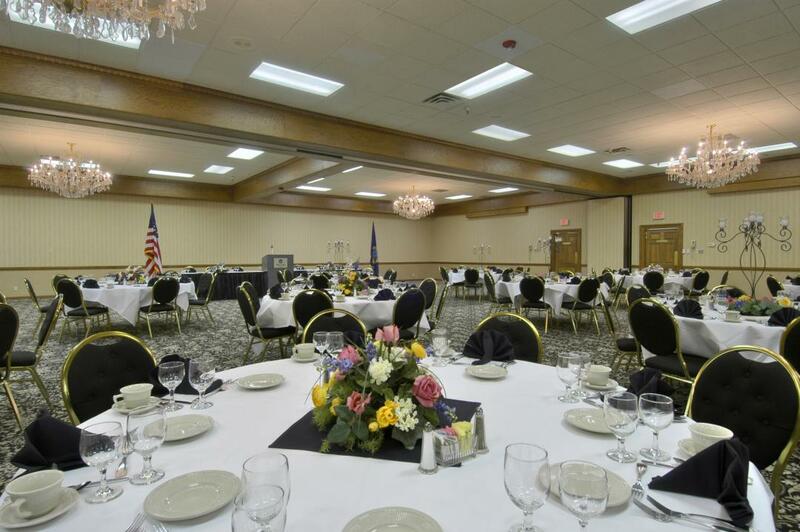 Red Lion Hotel Pocatello provides 14,248 square feet of event facilities with some of the best catering in Pocatello. Allow our event planners to help you design a custom menu for your event and delight your guests with our signature gourmet foods and expertly mixed cocktails. For further assistance, please call our catering team directly at (208) 233-2200 or submit a request for proposal. Whether you're planning a corporate function, a teambuilding event, a cocktail party or a wedding, our 13,000 square feet of event space is a versatile choice for memorable occasions in Idaho. Choose from 10 elegantly appointed meeting venues featuring 16-foot ceilings and the latest in audio-visual equipment. The largest of our meeting rooms, the Convention Center, can seamlessly accommodate up to 1,000 guests in a theater format, and we can help guide you on the best alternative seating arrangements for your event in our other spaces. You can count on our professional, creative meeting planners and catering specialists to ensure that no detail is overlooked. For a memorable meeting, conference, or banquet, trust our friendly staff to design a signature gathering in our flexible meeting venues in Pocatello. Our Pocatello hotel is centrally located near some of the top venues for sports in the area. Whether you're competing or spectating, consider our Pocatello suites for your team or group. Choose among 150 plush accommodations near Idaho State University and take advantage of our convenient amenities, including complimentary airport transportation, complimentary parking, complimentary Wi-Fi, on-site dining, a fully-equipped fitness center, swimming pool, whirlpool, and more. Red Lion Hotel Pocatello offers 14,248 square feet of venues for Pocatello weddings near the romantic Mink Creek and Cherry Springs. Whether an intimate family affair or a grand ballroom banquet, plan the wedding of your dreams with the influence of Idaho’s brilliant flowers, scenic creeks and stunning wildlife. If you’re seeking event planning in Pocatello, allow our professional event specialists to assist you during your wedding planning process. From overnight accommodations for your guests to the delicious dishes on your custom catering menu, our wedding specialists will make sure that no detail of your special day goes overlooked. To inquire about our weddings in Pocatello, please submit a request for proposal and a member of our team will contact your regarding our planning process. Visit the "Smile Capitol of the U.S."
Contact our front desk regarding our special offers to save on attractions and make sure to check out some of our favorites below. In 1970, Craters of the Moon became one of the first designated federal Wilderness areas in the National Park System. Visit this enormous lava field to explore its interesting and scenic landscape. Just 30 miles from Pocatello, Lava Hot Springs serves as a rejuvenating hotspot year-round. Visit over summer to tube down the river and plunge down some thrilling slides; or visit during a snowy winter day for a hot dip in the natural hot springs. Outer Limits Fun Zone features 30,000 square feet of laser tag, black-light golf, arcades, mini-bowling, and other activities for all ages. Located just south of Pocatello, Pebble Creek features 1,100 acres of 45 ski runs for all ages and abilities. Open mid-December through mid-April, this world-class resort offers ski lessons, rental equipment, and a lodge with restaurant and bar. Pocatello Zoo promises hours of entertainment with native animal exhibits, an outdoor amphitheater, volleyball courts, horseshoe pits, and a playground. The outdoor Ross Park Aquatic Center features a large pool, a zero depth pool, a lazy river, a humongous play area and a water slide. For only $5, enjoy a day of action-packed, aquatic fun and make sure to check out the Splash Dances* from 9-11pm. Established in 1872, Yellowstone National Park is America's first national park and home to majority of the world's geysers and an abundance of wildlife-including grizzly bears, wolves, bison and elk. Pocatello is called “The Gateway to the Northwest,” and for good reason. Pocatello history begins with Shoshone and Bannock tribes, who inhabited this area of southwestern Idaho for centuries. Lewis and Clark were the first explorers to arrive in 1805, and their reports attracted fur trappers and traders. Even after the fur trade declined, the area remained a popular route for immigrants to the West. The Gold Rush in 1860 attracted more settlers on their way through the Oregon Trail, transforming the area into a trade center and transportation hub. The name “Pocatello” was given by a Shoshone chief who granted a newly-built railroad the right-of-way through the Fort Hall Reservation. After the Gold Rush, settlers found a fertile land suitable for agriculture. Residential and commercial development blossomed and Pocatello was founded in 1889. Since then, Pocatello has thrived as one of the largest cities in Idaho, now with a population of just over 54,000. We have some unique laws, too. In 1948, the mayor George Phillips passed an ordinance making it illegal not to smile. The "Smile Ordinance" was passed as a joke because of the exceptionally severe winter, which had dampened the city's spirits. Unintentionally, the ordinance was never repealed. As a result, we are now "The U.S. Smile Capital." Come to the Pocatello for the stunning Northwest scenery, and the brightest smiles in the country. Located off the I-15, Red Lion Hotel Pocatello has easy access to Idaho State University -one of Idaho's most prestigious campuses. Visit the Natural History Museum located on the campus and explore through a variety of collections, exhibits and events on anthropology, earth science, life science and paleontology. Located only three miles away from Idaho State University (ISU), Red Lion Hotel Pocatello offers 150 spacious accommodations equipped with our signature pillow top mattresses, complimentary Wi-Fi, eco-friendly bath products and other comforting room amenities. Enjoy a sweet sleep in one of the most convenient locations among Pocatello hotels near ISU with easy access to the best Pocatello attractions. As one of the top full-service hotels in Pocatello, we also offer resort-style amenities ideal for ISU alumni, families and faculty. Pre-game for a Bengals sporting event at our Pocatello Lounge; spend a relaxing parents' weekend by our swimming pool and whirlpool; or host a special alumni gathering in our 14,248 square feet of event space. Learn how to go green at this 75,000-square-foot museum dedicated to the art of keeping the environment clean. The Museum of Clean offers excitement, humor, and education for the whole family. Many of the museum exhibits are created for hands-on fun. Kids will have the opportunity to explore historical exhibits that focus on chimney sweepers, stagecoaches, old time life on the farm, and more. The Museum also has its own art gallery, which includes beautiful Asian block prints. General admission is $6 for adults, $5 for kids 3-11, and $20 for a family of two adults and three children. Parking is free and easy-access. The museum is non-profit, so all donations help. When seeking hotels close to Yellowstone National Park west entrance or south entrance, consider Red Lion Hotel Pocatello as your gateway. Yellowstone vacations are convenient and affordable with Red Lion, a pleasant home base for explorers and adventurers. If entering through the south or west entrances of Yellowstone, you either have the opportunity to travel through the scenic Grand Teton National Park — a 26-mile long national park known for its stunning Grand Teton Mountain Range or West Yellowstone in Montana. When you've arrived, don't be overwhelmed by what seems like endless acres within the world's first national park. 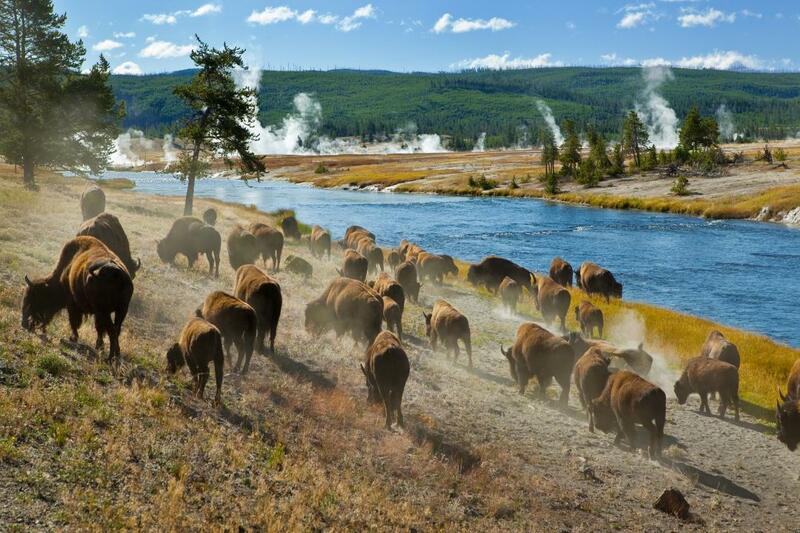 We recommend touring a geyser basin, seeing the Upper and Lower Falls at the Grand Canyon of the Yellowstone, hiking a trail and spotting some wildlife (a bison is virtually guaranteed).